Would you like to raise money for your school? We have experience in working with several schools in our local area, assisting in fundraising events through summer and Christmas fetes, to drawing and photography competitions. One of our fundraising initiatives is a very successful drawing competition. It is quite simple, and effectively engages the children asking them to draw their favourite book character. There is no cost to the school as all literature is supplied, and all we ask is that the drawing competition sheet is sent home with the child to complete their drawing. A £10 book token will be given to the winner. 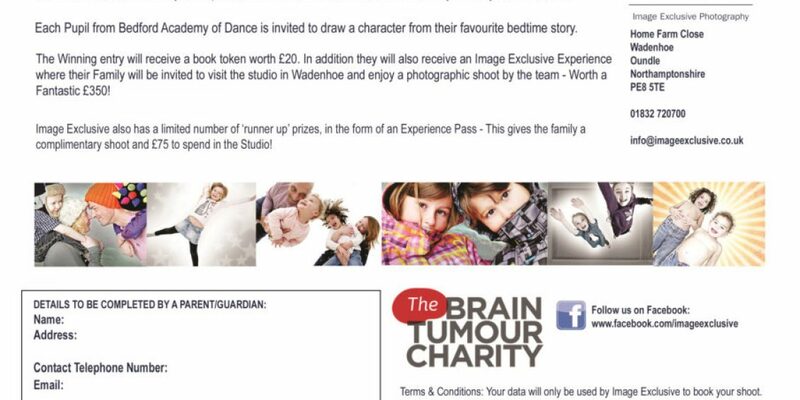 Any other parents who show interest will also be sent a complimentary voucher to be used in the studio. Please note: The studio will not pass on any parents details to third parties. If you could pass this on to the relevant person and I will look forward to hearing from you. Please contact us if you are or your school will be interested in raising money for your school. Image Exclusive's Photography Studios are based in the picture postcard village of Wadenhoe in Northamptonshire. We serve customers in: Peterborough, Huntingdon, Oundle, Thrapston, Wellingborough, Rushden, Kettering, Corby, Northampton and beyond.